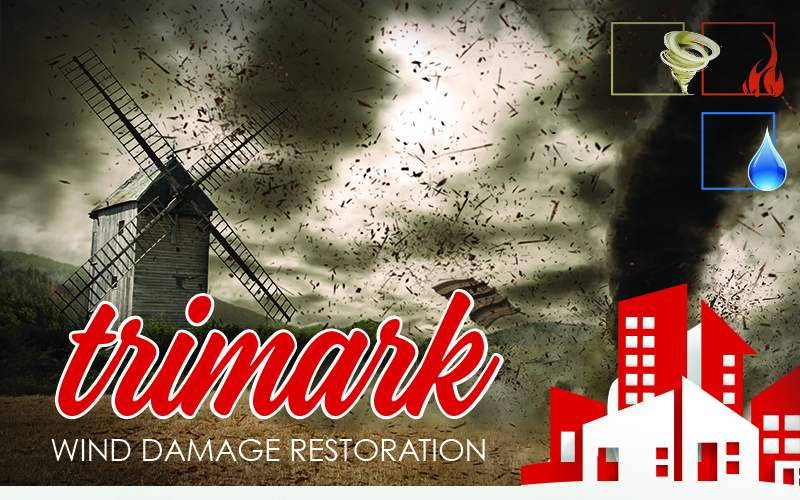 Property storm damage caused by windstorms, tornado, ice or thunderstorms can be mild or so severe that your home or business is completely lost.ice storm damage repair Storm damage from natural disasters affects more than one building; entire communities are affected. When your business is down, you are losing money, so it’s critical to get storm damage repairs done quickly for you to be operational again. Homes that are affected by ice storm and tornado damage need extra care to either evacuate home occupants until repairs are made, or ensure utilities, heat, etc. can operate without causing further hazardous conditions. Fires usually start small, and often spread fast. In fact, the smoke and burning effects of a home fire can spread to unseen areas of the house, causing long-term structural problems if not identified in time. Fire damage can occur in parts of the home that you may not notice immediately. That’s why it’s important to rely on a fire damage specialist to help make sure your property is safe and liveable again. Time is critical during fire damage clean up, beginning with securing and boarding up the property before the emergency response teams can leave the scene. 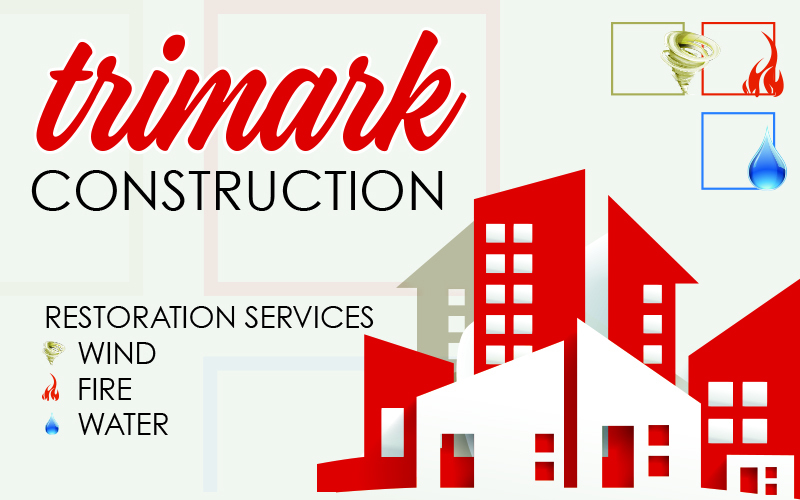 Trimark Construction is a trusted service provider with local fire departments to make sure your property is properly secured following a fire. Initial services such as smoke ventilation, water extraction, roof repair and securing of the property help ensure your home damage is minimized. 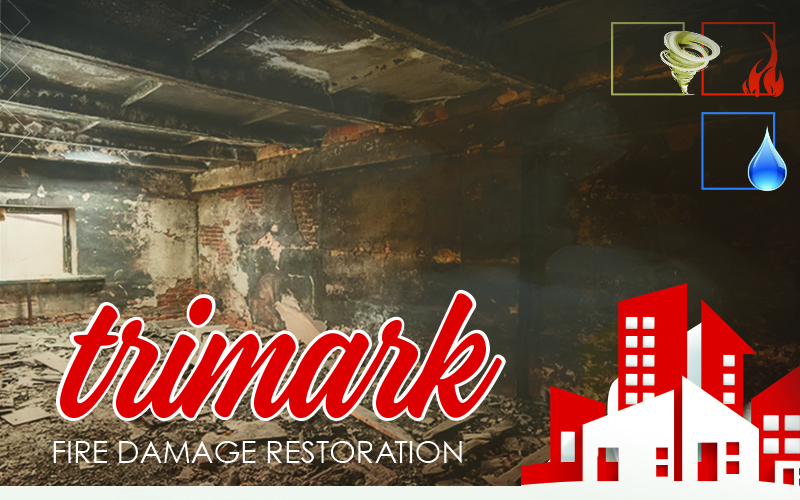 Fire damage restoration services continue with removal of debris, soot, smoke odors, waters, and repairing structural damage. Water damage is often a common problem for homeowners, especially in cold-weather climates where water pipes can freeze or burst, or where there are heavy rains and flooding. There are many reasons why water leaks can occur in a building, but in every situation, the results can be dangerous to your property and hazardous to your health. 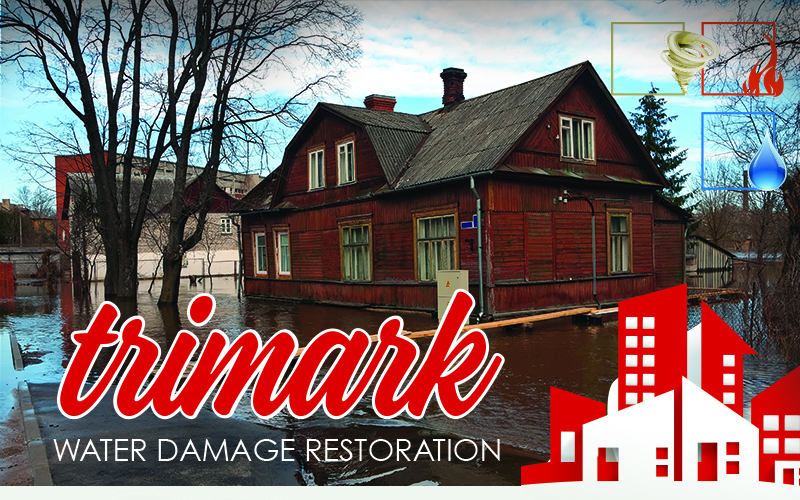 That’s why water damage restoration companies like Trimark Construction make every effort to respond quickly to water damage problems. We want to make sure that long-lasting structural damage doesn’t develop.